Can ethnographic collections be used to help in reckoning with the echoes of colonialism that still resonate in the contemporary world? How do we as museum practitioners empower indigenous communities to shape a decolonised future through the interpretation of a colonised past? How do Commonwealth countries fit into the discourse of decolonisation? How do we resist and avoid the reproduction of colonial taxonomies in displaying ethnographic material? How could such collections be interpreted in facing societal challenges such as mass human displacement, questions of identity and belonging, well-being and in addressing the wider global societal divide? What alternatives has the 20th and 21st century museum landscape brought us? Where do museums established during independence, and in former occupied territories stand today? Do such museums need physical collections and spaces? What do digital museums offer? Can ethnographic museums move beyond their tendency to represent cultural ‘others’ and their conventional focus on (often colonial) ‘non-Western’ geographies? What would that mean for collecting in the contemporary? In what way do institutional frameworks enable/limit experimentation and innovation? We would like to invite case studies of contemporary practice or past museum practise, including an open review of the challenges and opportunities experienced. We warmly invite proposals for papers discussing work aimed at making museums more inclusive spaces. We hope to see both best and worst practice cases openly brought to the fore and anticipate that the meeting will give ample opportunity for people to engage, reflect and be inspired by current examples that are challenging the status quo in Ethnographic/World Museums. We especially encourage and welcome papers offered by colleagues from post-colonial studies, migration studies, new technologies, archaeology, history and cultural studies. Two standard formats are available for presenters: a full conference paper to last twenty minutes and a shorter ten-minute work in progress presentation. We also welcome A2 posters to be displayed throughout the conference. Please send 200 word abstracts by email to Faye Belsey no later than Monday 22nd January. Full details on registration, accommodation and the conference programme will be released in February 2018. The Museum Ethnographers Group is a charity and is unable offer any financial support to speakers. All papers must be presented in English. Conference papers will be considered for inclusion in the Journal of Museum Ethnography. An experienced Project Manager is required to take overall responsibility for coordinating the preparation and movement of reserve museum collections from their current location into two other locations, and for working with University Estates to complete the suitable storage facility. The Project Manager (PM) will work with staff of the four University Museums to plan and deliver the removal of a range of museum collections from the Old Power Station (OPS), within budget and within a defined timescale. 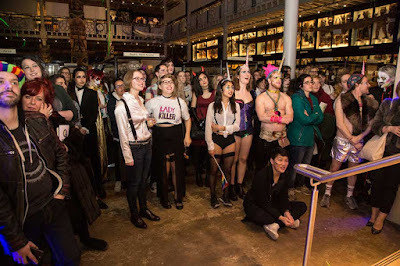 The largest collections in the OPS are cared for by the Pitt Rivers Museum and the Museum of the History of Science but some material cared for by the Ashmolean and the OU Museum of Natural History were also held there. Each collection has distinct requirements and the PM will need to work with museum staff (who will prepare and pack artefacts) to be sensitive to the needs of the collections for movement and re-storage and, if necessary, to manage expectations as to what the project can deliver. This is a complex project requiring the PM to liaise closely with museum staff to facilitate and support the preparation of artefacts for the move, planning logistics required for the process, and also to represent museum requirements to University Estate Services. The PM will be first point of contact for the Museums for Estates Services which includes Security, Repairs and Maintenance, minor and capital works. He/she will be responsible for ensuring that the budgeted plan is delivered. The PM will also be responsible for health and safety and security for all the spaces involved in the project. This is a full- time post (part- time hours will be considered), fixed-term for 12 months. You will be required to upload a full CV and supporting statement as part of your online application. Only applications received before 12.00 midday on 9 November 2017 can be considered. Please note that the University of Oxford's retirement policy has changed. With effect from 1 October 2017. Grade 5: £24,983 - £29,799 p.a. We are seeking an experienced Team Leader for a fixed period to lead a project team and coordinate the final stages of packing and relocating a significant reserve collection currently housed in a large split-level off-site warehouse facility. The Team Leader will be required to manage the project team and oversee the documentation, packing, transport and storage of objects in a safe manner, to standard and within the project deadline. The post will be based in a warehouse environment and requires standing, regularly using stairs, and lifting objects and packed boxes. Full details of the post are available in the job description. The essential requirements include experience of working in a museum or equivalent heritage site; understanding, knowledge and experience of handling and packing complex and delicate organic artefacts and familiarity with the principles of museum security, museum storage of objects, museum conservation and handling of museum objects; experience of supervising, managing and motivating staff and a proven ability to work effectively and constructively as part of a team.